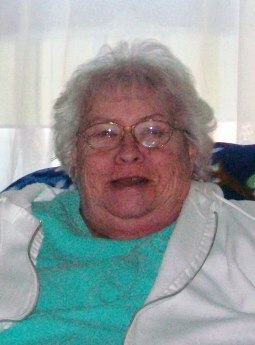 Bernice “Bernie” M. Stull, 80, of Fremont, OH passed away at her home surrounded by her family on Tuesday, April 9, 2019. She was born in Barry County, MI, the daughter of John L. Jones and Betty Jean (Casey) Jones-Kindt. She was a 1956 graduate of Fremont Ross High School. Bernie married Robert Stull on August 24, 1957 in LaGrange, IN and he survives. She worked at Rainbow Lanes and then for Singer Controls. Bernie enjoyed bowling, garage sales and was a vendor at Sandusky County Fair Grounds and Skyway Flea Markets. She was a very caring person and loved spending time with family, friends and her grandchildren. Bernie is survived by her husband of over sixty-one years, Robert Stull; children, Vickie Adams, Mark Stull and Lorie Stull, all of Fremont, OH; six grandchildren; five great grandchildren and two great-great grandchildren. She was preceded in death by her parents; step father, Charles W. Kindt; step mother, Betty A. Jones and granddaughter, Miranda Stull. Visitation: Sunday from 2 – 5 pm at Wonderly Horvath Hanes Funeral Home and Crematory, 425 E. State St, Fremont, OH. Services: Monday, April 15, 2019, 10:30 am at the funeral home. So sorry for your loss. Prayers of peace and comfort for you all. Sending hugs and prayers to you and your family on the passing of Bernie. So shocked and sorry! Heaven gained another angel, remembering you’ll see her again. So sorry to hear about your loss. Sending prayers God helps you through this hard time. Bless all of you and my thoughts are with you.